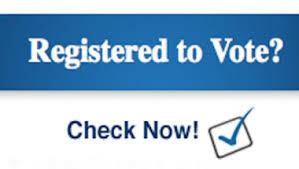 I urge you to use your right to vote, in whatever way you wish, so please check that you are on the register of electors at www.checktheregister.ie and select the relevant council. If not, don’t worry it’s not too late to get on the Supplemental Register by completing form RFA2, or if you have changed address you can complete form RFA3. Get the appropriate form stamped at your local Garda station and return it to the Franchise Section, Fingal County Council, County Hall Main Street, Swords, Co Dublin or Dublin City Council (FREEPOST) to the Franchise Section, Dublin City Council, Block 4, Floor 1, Civic Offices, Wood Quay, Dublin 8. The closing date for receipt of forms in the relevant council is Tuesday May 8th. Forms RFA2 and RFA3 can be downloaded from the following links: http://www.fingalcoco.ie/media/RFA2_English_Form%202015-2016.pdf (RFA2 addition to Supplemental Register) http://www.fingalcoco.ie/media/RFA3%20Change%20of%20Address%20Form%202015-2016.pdf (RFA3 change of address) or they can be downloaded from http://www.dublincity.ie/main-menu-your-council/register-vote#supplement The forms are the same for all councils. Please inform your family and friends because if you’re not on the register you won’t be able to have your say. Decisions are made by those who turn up!